An Incredibly Helpful Guest Post For Any Team Leader, Written by Emily May. 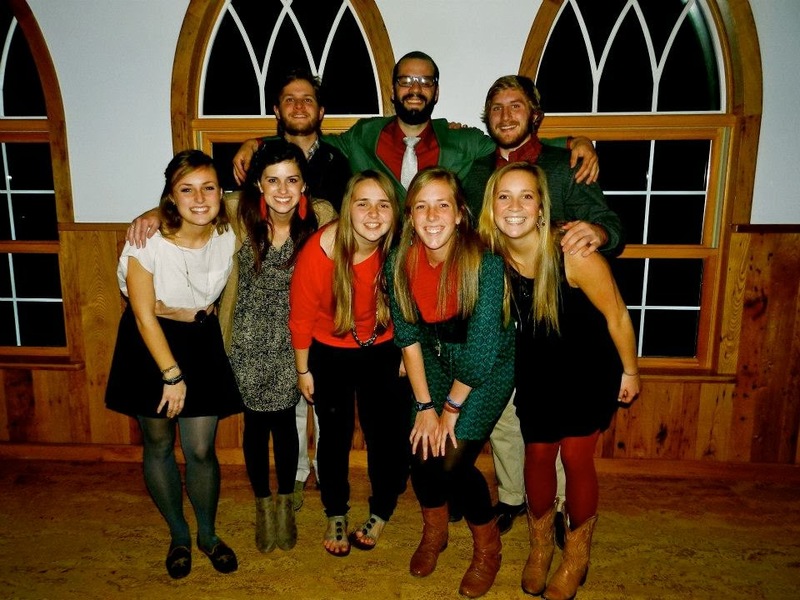 I was only 19 years old when I became our Young Life Team Leader. I felt completely incapable and inadequate. I had barely gotten the hang of leading high school kids, and now I was expected to lead leaders? I was thrown in and it has been one of the most shaping and humbling experiences of my admittedly short career as a Young Life leader. I have failed in more ways than I can count, but God in his infinite mercy still chose to use me. Below are a few things I wish I had known. Care more about what Christ is doing IN your teammates rather than THROUGH them. I could not be guiltier of not carrying this out. I like results. I want us to be doing everything we can to reach our high school friends. However, when I start to care more about how many kids are showing up to someone’s campaigners group rather than their personal walk with the Lord, there’s a big problem. Be intentional with your teammates. Seek them out, ask them what Jesus is teaching them. Make sure they feel poured into and loved for who they are, not for how well their ministry is doing. It’s a priority thing. I’m still convinced that one of the most bonding things our team did was when we took down our rival high school team in paintball. Or that one time a few of us drove 45 minutes from our little mountain town to play laser tag and arcade games. Or the few times we had a team potluck. Yes, it's important to be productive and get things done, but it’s more important that your team is a family. Make memories together. There are several team times that I will never forget because I have never laughed that hard in my life. There were team times when we didn’t talk about anything “business,” we just laughed and prayed. And I’m okay with that. Jesus says “By this, everyone will know that you are my disciples, if you love one another.” –John 13:35. When your team cares for one another deeply, high school kids get to see a real picture of community with Christ at the center. Do not think you have to have it all together. Be honest with your team. I had a rough senior year of college, and that year was also a difficult one for my team in general. I somehow got it into my head that because I was team leader, I needed to be okay even when I wasn’t. So I forced myself to be okay, because I felt like my teammates were depending on me and I crashed and burned. I had forgotten that Jesus is strong in my weakness, that He does NOT call us to self-sufficiency. I finally had to ask myself if I wanted to appear strong or if I wanted authenticity on my team. Your team will have conflict. People will get frustrated, somebody will forget to buy the hotdogs for the game, and folks will show up late. There are things to let go, and things to be brought to light. A team can and will be destroyed by bitterness and resentment. Come to each other humbly and honestly, do not let Satan get such an easy foothold. Eliminate competition and comparison. It will save your team a lot of hurt. Be willing to teach and to give things away. Do not put every responsibility on yourself, it will crush you. Allow your teammates to fail. Believe in them before they believe in themselves. Take time to teach things that you wish you would have known as a first year leader. Make sure you are replacing yourself in the process and thinking ahead about who will be the next team leader. Volunteer to do the thing that no one wants to do. Be the first one at club and the last one to leave. Be a servant. My first ever team leader, Nate, made all of us Valentines when the day came around. It’s being faithful in small things. And now, for Day 2 in The 12 Days of Spikeball Contest. You can win a Spikeball set (along with an additional set for your Young Life club.) Best caption for this photo WINS! You can comment in the blog comments below and also enter on the YoungLifeLeader Instagram post today. He definitely took the red pill. Spikeball... where legends are born. Forgetting there were piranhas in the water, this leader make a great leisure dive save. The car ride to the hospital made for some great contact work. "Guys I came up with the next best thing: Spikeball in the water!" Forgetting that he was not wearing his superhero cape, he leapt from the platform to win the game. "The power of Christ compelled him"